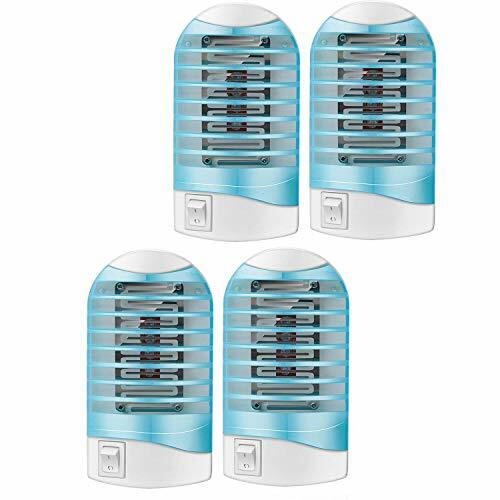 No chemicals: No more pesticides or harmful sprays.Useful bug zapper, It does not pose a threat to the health of humans or pets and is ideally suited where insecticides cannot be sprayed like kitchens and hospitals. Dual use: can be used as a night light, saving power,electronic insect killer with soft blue light at night is more pleasing, and can eliminate all flying insects. Almost no noise, will not disturb your sweet dreams. Full Money Back Guarantee: If you are not satisfied with the quality of our products, we will replace them for free. If you are not satisfied with our products, we will guarantee to provide you with a full refund. We guarantee that you will not lose money for purchasing our products. Why still hesitate, hurry to add it to your shopping cart and get your own mosquito killer! If you have any questions about this product by Maxtry, contact us by completing and submitting the form below. If you are looking for a specif part number, please include it with your message.